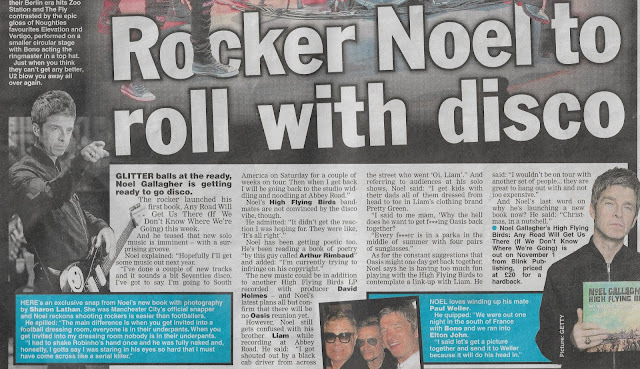 A scan from today's Daily Star, click into the image to make it bigger. "Hopefully I will get some music out next year". "I've done a couple of new tracks and it sounds a bit Seventies disco, I've got to say. I'm going to South America on Saturday for a couple of weeks on tour. Then when I get back I will be going back to the studio widdling and noodling at Abbey Road".